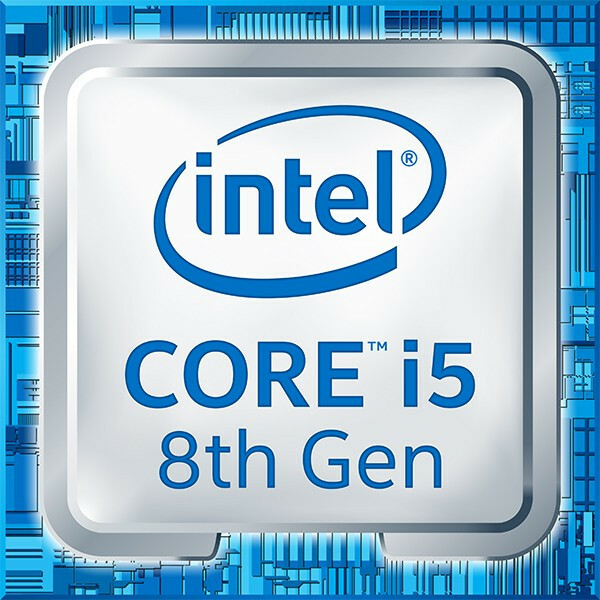 The Intel Core i5-9400H is a high-end processor for laptops with four cores based on the Coffee Lake architecture (2019 refresh, CFL-HR). The processor clocks at between 2.5 and 4.3 GHz (4.1 with 4 cores) and can execute up to eight threads simultaneously thanks to Hyper-Threading. According to Intel, the CPU is manufactured in an improved 14nm (14nm++) process. Compared to the predecessor, the Core i5-8400H from 2018, the 9300H is only clocked slightly higher (+100 MHz CPU Turbo, +50 MHz GPU). The Intel Core i5-9400H should perform similar as the older Core i7-7920HQ (3.1 - 4.1 GHz). The faster Coffee Lake CPUs, like the Core i7-9750H offers two additional cores and is therefore up to 50% faster in multithreaded benchmarks. Still, the performance of the i5-9400H should be sufficient for even demanding applications and games. The integrated Intel UHD Graphics 630 iGPU is supposed to offer a slightly higher performance as its clock rate has been increased by 50 MHz. The architecture is identical to that of the Intel HD Graphics 630. We do expect a performance improvement, but as a low-end solution it will probably only display current games smoothly at reduced details - if at all. Beware, the CPU was not yet released at the time of writing and the information is based on leaks and early price list information (e.g. by Intel or on Baidu).